Hi - this is Srinivasan Sampathkumar from Triplicane. I have a passion for Marine Insurance, Cricket and Temples especially - Sri Parthasarathi swami thirukKovil, Thiruvallikkeni. From Sept 2009, I am posting my thoughts in this blog; From July 2010, my postings on Temples & Tamil are on my other blog titled "Kairavini Karayinile " (www.tamil.sampspeak.in) Nothing gives the author more happiness than comments & feedbacks on posts ~ look forward to hearing your views ! Here is what New York times once wrote : ‘Fixes looks at solutions to social problems and why they work’. As the United States struggles to find new business models for health care, some innovators are looking to other industries, ones that provide high-quality services for low prices. In a recent article in The New Yorker, for example, Atul Gawande suggests that the Cheesecake Factory restaurant chain — with its size, central control and accountability for the customer experience — could be a model of sorts for health care. That’s not as outlandish as it seems. The world’s largest provider of eye care has found success by directly adapting the management practices of another big-box food brand, one that is not often associated with good health: McDonald’s. To get things done in a big and permanent way it must be done spiritually ~ quote of a famous person on whom Google has a doodle today. A man permanently crippled by rheumatoid arthritis at age 30, alleviated sufferings of thousands is indeed worthy of doodle. It is not in cities alone, but in rural places that his vision, ensured vision for masses. The photo here is a facility inaugurated in 1985, as the first satellite hospital situate in Theni, along the Western Ghats 80 kms west of Madurai, it serves an area within a 50 km radius, covering a population of 4.2 million including the Kottayam and Idukki districts in Kerala. It is all about Dr. G. Venkataswamy, affectionately called- 'Dr. V', the founder chairman of Aravind Eye Hospital. He was born on today, 100 years ago (1.10.1918) in Vadamalapuram, a village eighty kilometers from Madurai. He began his university education in the American college, Madurai from which he graduated with a B.A. in chemistry. He received his medical degree from Stanley Medical College at Chennai in 1944. According to Medical Council of India, India has 9.36 lakh doctors * (i.e. approximately 7.4 per 10,000 people). This also includes a significant number of inactive doctors as well. If we look at WHO guidelines, it recommends 10 doctors for 10,000 people. Considering our ever growing population- there is always stunning shortage of 3.3 lakh doctors just to meet the conservative guidelines in paper let alone exceeding them. China has almost the double the ratio of doctors to people to India and most of the developed countries have a ratio greater than 20 per 10,000 doctors. 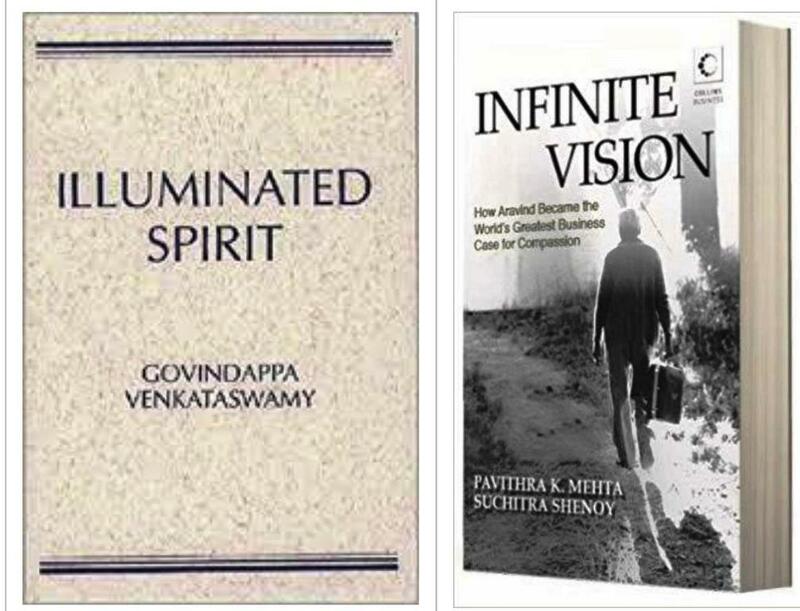 Govindappa Venkataswamy (1 October 1918 – 7 July 2006), an Indian ophthalmologist dedicated his life to eliminate needless blindness. He founded Aravind Eye Hospitals, the largest provider of eye care in the world. He is best known for developing a high quality, high volume, low-cost service delivery model that has restored sight to millions of people. Since inception, Aravind Eye Care System (a registered non-profit organisation) has seen over 55 million patients, and performed over 6.8 million surgeries. Its scale and self-sustainability prompted a 1993 Harvard Business Case Study on the Aravind model. Ignoring his cripplement out of rheumatoid arthritis at age 30, he trained as an ophthalmologist, and personally performed over 100,000 eye surgeries. As a government servant he helped develop and pioneer the concept of eye camps. He was honoured with Padma Shri from the Government of India in 1973. In 1976, at the age of 58, he retired from government service and founded Aravind in Madurai, Tamil Nadu along with his four siblings and their spouses. The hospital began as an 11-bed clinic that operated out of a rented house. Today, the Aravind Eye Care System includes a network of 7 tertiary care eye hospitals, 6 secondary eye care centres, and 70 primary eye care centres in South India. In 1992, Dr. V and partners of Aravind founded Aurolab, an internationally certified manufacturing facility that brought the price of the intraocular lens down to one-tenth of international prices, making it affordable for developing countries. Today, Aurolab manufactures ophthalmic pharmaceuticals, instruments and equipment, in addition to intraocular lenses, and exports to 120 countries worldwide. Dr. V was a disciple of spiritual teachers Sri Aurobindo and the Mother. In his words: “Aravind Hospital aims at bringing higher consciousness to transform mind and body and soul of people. It is not a mechanical structure repairing eyes. It has a deeper purpose. 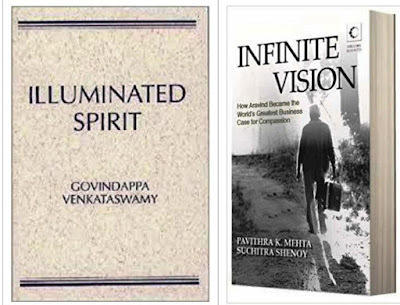 It is not about buildings, equipment, money or material things, but a matter of consciousness.” His life work is documented in a film and book, both titled Infinite Vision. Dr. V remained a bachelor. He lived with his younger brother G. Srinivasan (Aravind Eye Care System's Director of Finance and Building) and his family. Former President of India Dr. A.P.J. 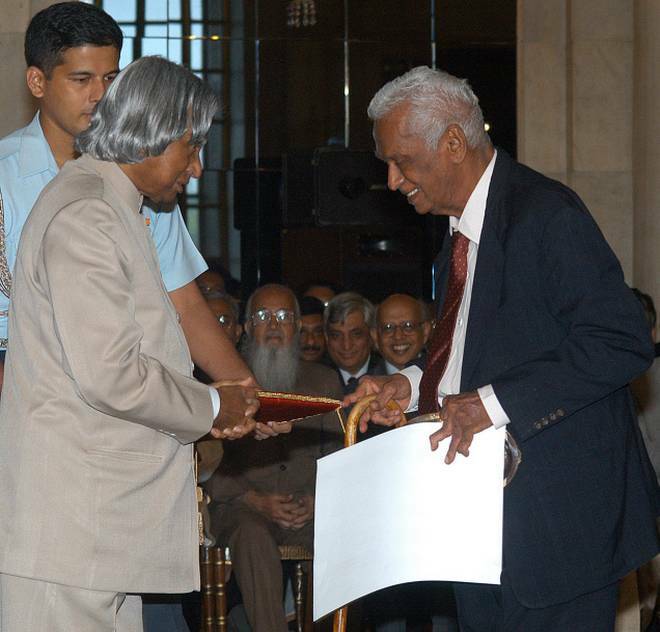 Abdul Kalam was a friend of his who wrote, "In the Aravind experience I see the path we need to take --a transformation of life into a powerful instrument of right action." The vision of Dr V - Aravind is not just a health success, it is a financial success. Many health nonprofits in developing countries rely on government help or donations, but Aravind’s core services are sustainable: patient care and the construction of new hospitals are funded by fees from paying patients. And at Aravind, patients pay only if they want to. The majority of Aravind’s patients pay only a symbolic amount, or nothing at all. Aravind’s efficiency allows its paying patients to subsidize the free ones, while still paying far less than they would at other Indian hospitals. Each year, Aravind does 60 percent as many eye surgeries as the United Kingdom’s National Health System, at one one-thousandth of the cost. Aravind’s ideas reach around the world. It runs hospitals in other parts of India with partners. It is also host to a parade of people who come to learn how it works, and it sends staff to work with other organizations. So far about 300 hospitals in India and in other countries are using the Aravind model. All are eye hospitals. But Aravind has also trained staff from maternity hospitals, cancer centers, and male circumcision clinics, among other places. Some share Aravind’s social mission. Others simply want to operate more efficiently. The vast majority of people blind from cataracts in rural India have no idea why they are blind, nor that a surgery exists that can restore their sight in a few minutes. Aravind attracts these patients in two ways. 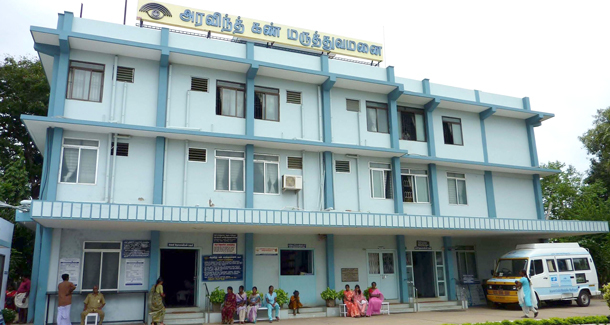 First, it holds eye camps — 40 a week around the states of Tamil Nadu and Kerala. The camps visit villages every few months, offering eye exams, basic treatments, and fast, cheap glasses. Patients requiring surgery are invited with a family member to come to the nearest of Aravind’s nine hospitals; all transport and lodging, like the surgery, is free.